I celebrated a milestone birthday this weekend–one that forced me to admit I can’t fake it anymore. I really do belong to that OTHER age group now. For two months prior to the big day, I fretted about what it meant globally, personally and cosmically. I practiced saying my new age aloud to anyone who would listen. It was like I had Birthday-Specific Tourette’s. People skittered away from me in the grocery store. I never ever imagined myself being this old. Seriously. Not ever, and I worry because as I continue to scooch down the demographic bench, I am getting a lot closer to that other edge. However, after a few weeks of making these spontaneous age announcements, it was obvious to even a self-obsessed person such as myself that no one–no one!– gives a flying fiddle how old I am. That epiphany came packaged with the realization that I don’t actually care, either. I just thought I was supposed to. The whole ACK! thing flipped over into a YES! No fakery in the shot above. 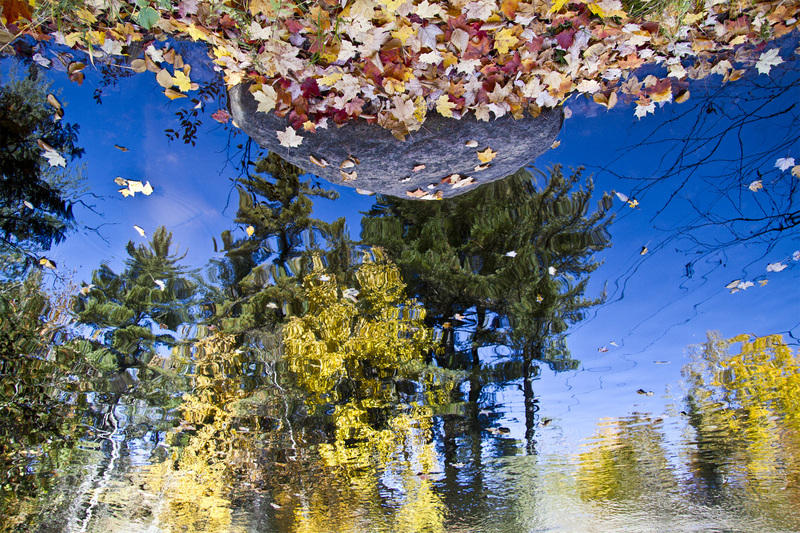 I flipped a reflection shot over for a different perspective.